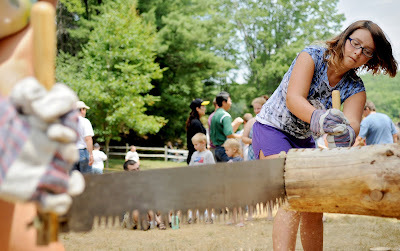 Went to Black Moshannon State Park yesterday for the first time to photograph the summer festival. 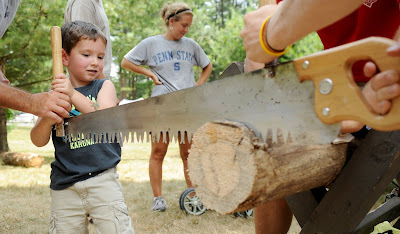 There were an assortment of free activities throughout the afternoon with amateur lumber contests. Log rolling, where a team of two rolled the log to two posts, turned it around and roll it back. The rolling part didn't look too difficult, but the turning and directing part did. 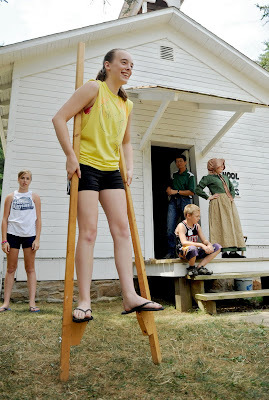 Old wooden stilts as part of the school yard games. 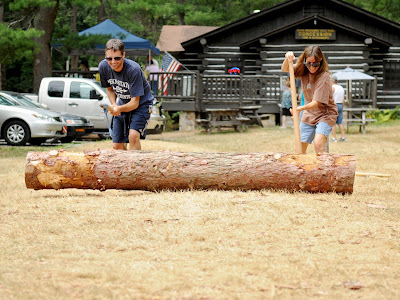 Log cross cutting competition where each team was timed. 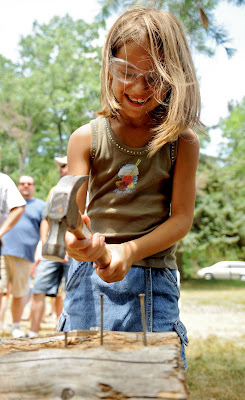 Nail pounding competition where you were timed how fast you could hammer 5 nails into a log. I met a group of guys who were intense on their hammering abilities. Things were going well for this participant till he missed this nail! Another guy from the group only hit each nail once and it went right in, and he was so fast that every frame I have doesn't have the hammer in it, it's just a nail disappearing. After I had things from the festival, and was jealous of all the visitors swimming in the lake, and canoeing, I ventured down to the bog trail. The trail is being featured next month in our good life section, and since I was already there I stopped to get the photo. 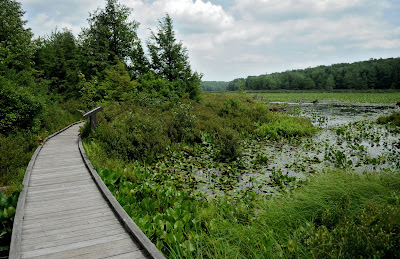 The quarter mile boardwalk goes through the bog area with informational signs about the plants and animals that live in the swampy area. It was so peaceful and quiet and had some great views of the lake and surrounding mountains. Black Mo state park has been added to my list of places I need to go to when I'm not working to enjoy.